Can Chiropractic Treatment Improve Arthritis Symptoms? How Does Chiropractic Treatment Improve Flexibility? Can Orthotics Help Reduce Back Pain? If you are suffering from arthritis symptoms, you might be looking everywhere to find relief. If you have never considered chiropractic treatment and chiropractic adjustments, you may find it to be a viable option for your arthritis symptoms. Chiropractors do not just crack bones and pop necks. Modern chiropractors are able to use a wide variety of skills and techniques to manipulate and focus on specific needs. These can range anywhere from improving the performance of an athlete, to reducing stress, helping a sore back or neck, and reducing symptoms such as those in joints from arthritis. At the core, chiropractors focus on mending the relationship between tissue and nerves. Having a strong connection between these is believed to increase all areas of health, from organs to joints. Manipulating and improving these areas has shown to reduce pain and inflammation caused from arthritis in a relatively short amount of time. Chiropractic adjustments work best as part of a complete program. However, if you suffer from osteoporosis or have severe active inflammation, then chiropractic treatment might not be right for you. 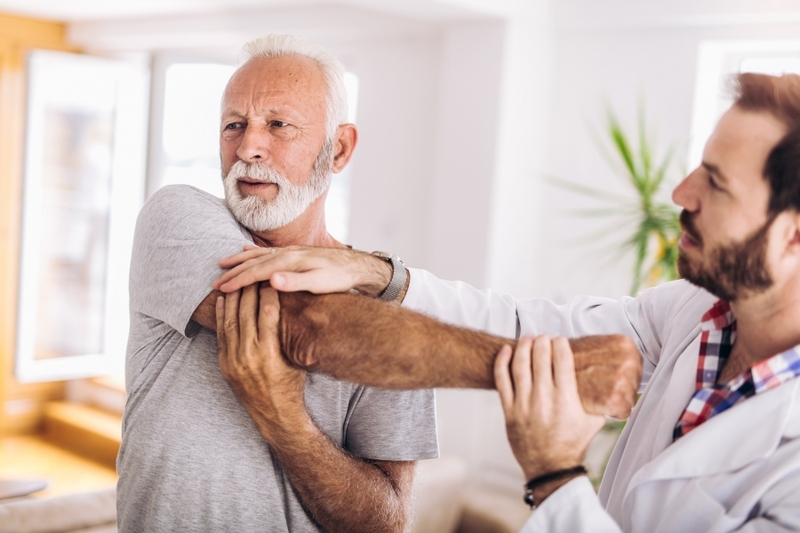 The best way to determine if your arthritis symptoms would benefit from chiropractic care is to talk to seek out chiropractic care in Langley and talk a chiropractor. The professionals at Benefit Chiro would be happy to assess your current condition, and devise a treatment plan that would best improve your arthritis symptoms. As we age and move through the years, it is quite normal for adults to lose much of their natural flexibility. This loss of range of motion can often be felt as stiffness, or in more extreme circumstances, result in pain and difficulty in moving. Keeping, and even improving upon, flexibility can therefore improve not only your health, but also your overall enjoyment of life. Regular chiropractic treatment at a chiropractic clinic in Langley is one way to help maintain flexibility. One of the best ways to retain range of motion and flexibility is to get regular chiropractic care. A chiropractor works to align the spine of the body and keep each vertebrae sitting and functioning correctly. Vertebrae house the spinal cord, a large nerve bundle which innervates the entire body. Keeping the spine in place therefore allows for more “nervous commands” to easily reach the muscles they supply, resulting in reduction in pain, an increase in flexibility and many other health benefits. As a result of proper spine alignment, blood flow throughout the body improves. This increased blood flow also helps contribute to improved flexibility. Furthermore, when the spine is properly alligned thanks to the care of a Chiropractor, the body no longer extends energy in overworking muscles to compensate. An overworked muscle tends to fatigue and become more stiff, so a proper spine helps to alleviate this. While Chiropractic care will help alleviate some of the symptoms and improve your flexibility, best results require lifestyle changes. Adding in a regular exercise and stretching routine, drinking water, and eating right when combined with regular Chiropractic care can make the greatest changes in your life. 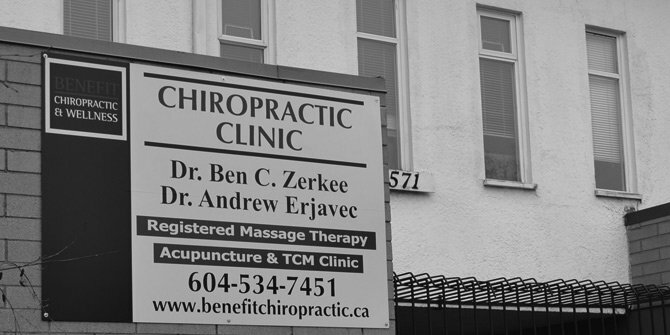 Start today by visiting your Chiropractic clinic in Langley. For those new to chiropractic care, it is common to have questions and even concerns regarding starting a new treatment plan. Your initial visit will give your chiropractor a good look into your medical history and what you will be treated for – this first visit also gives you a great chance to ask questions and really take control of your health care plan. You should never leave a visit feeling confused or unsure. Your first visit will likely be the longest visit you have. This initial consultation will give you and the chiropractor a chance to start a great therapeutic relationship and really get a handle on your goals going into treatment. Your chiropractor will do a full examination, sometimes including tests and radiographs, will come up with a diagnoses and treatment plan for you. Once you have an established diagnosis and treatment plan, you will be scheduled in to come in for follow up treatments. The frequency of these visits will have been established at your initial consultation, and are usually very quick – treatment, plus time for any questions or concerns you may have. Going to the chiropractor for the first time can be concerning, especially if you have no idea what to expect. Take charge of your health by having your questions and concerns ready to go for your chiropractor, and be sure to share any past medical issues you may have had. You might be surprised what your chiropractor can help with! One treatment for back pain that may not be as obvious is the use of custom orthotics. Orthotics are designed to realign how the feet meet with the ground, which in turn effects how the entire body structure moves. Orthotics effect the body’s posture and gait – which may be causing back pain. Realigning the body starting from the feet up may provide great back pain relief. Orthotics may help with back pain in patients who have excessively flat feet, excessively arched feet, or issues with the ankles rolling either inward or outward when walking. Any abnormal placement or structure within the foot will affect the entire body as the patient walks. For this reason, properly fitted orthotics should be one of the first treatments when looking at assessing and treatment for chronic back pain conditions that have no obvious cause such as injury. Custom fitted orthotics work from the ground up to stabilize and balance the way the body moves. This is turn can eliminate pain coming from the feet, ankles, knees, and up into the back. Children receiving regular chiropractic care is quickly more and more expected. The same as adults who receive chiropractic care, children’s nervous systems need to be taken care of – especially during important developmental years. While a child is growing, it is important to take care of their central nervous system. Reactions to issues within the nervous system can sometimes present as persistent and frustrating conditions such as constipation, colic, fussiness, and reflux. A childhood chiropractor can often help with these and many other conditions our children face, and can provide a focus on allowing the nervous system to function correctly without interference. Encouragement of nerve and brain development. Chiropractic care for children is quickly becoming a more common practice. Because parents would like to be more proactive (instead of reactive) about the health of their children, parents are turning to chiropractic care to aid in their wellbeing. If you believe that your child could benefit from chiropractic care, look for a chiropractor who is experienced in working specifically with children.